After soaking up the pressure for much of the game, two goals from substitutes Leroy Fer and Memphis Depay ensured a third-straight victory for the Netherlands in this World Cup and sent them through to the Round of 16 as Group B winners, with Chile taking second place. Alexis Sanchez impressed for the Chileans, who were unable to break down the dogged Dutch defence. Here are the five major talking points from the clash that decided the winner of Group B. Ever since giving birth to Total football in 1974, the Dutch have always been known for playing the game the way it should be played. Although the previous World Cup in which they kicked their way into the finals would have slightly tarnished their image, their trouncing of Spain in the opening encounter of this World Cup was enough to bring back fond memories of the past. 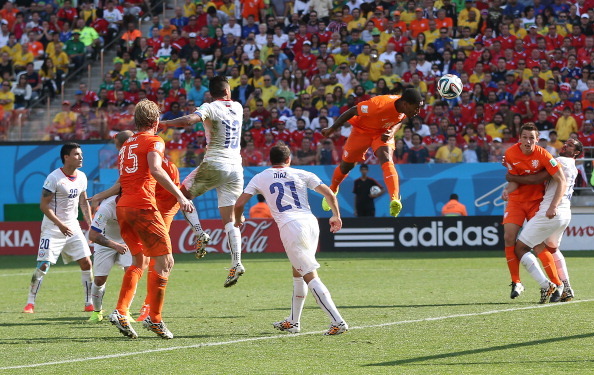 Against Chile, the Dutch resorted to the same tactics they employed against Spain in the first half. For much of the game, the Dutch merely soaked up the pressure and tried to break forward with Robbens pace and trickery. Ceding possession to Chile meant that the Netherlands would have to be on their game defensively if they were to get through the onslaught. They managed that and much more. Whether it was making crucial last-ditch tackles, telling interceptions or being at the right place at the right time to snuff out any danger, thedefence was as solid as it has been for a very long time. Their discipline made it hard for Chile to break them down and in the end built a solid platform for them to hit the sucker punch, latein the game. van Gaal made a few changes to the side that started the opening two games, though they were more by default than by design. Although there were some personnel changes, the Dutch started the game, much like they did against Spain. They let Chile have the ball and proceeded to wait for opportunities on the break. 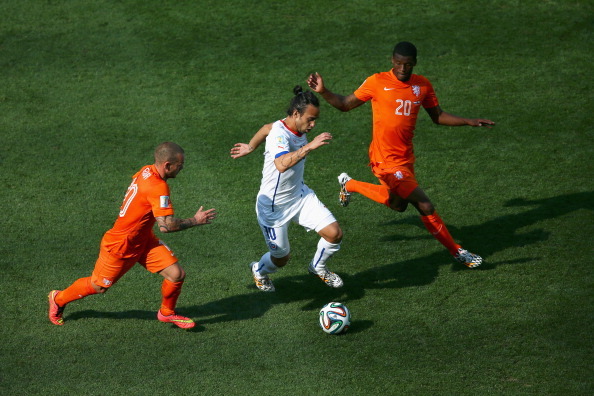 Although Chile had a lot of the ball, they were unable to get through the packed Dutch defence. Coming into the game, van Gaal knew that a point would be enough and it looked as though it was a point that he was going for. With a side that was set up to defend deep and attack with pace on the counter, he certainly came in with a game plan, that worked to perfection for the Oranje. At times, Alexis Sanchez almost looked as though he was going to take the game away from the Dutch, but the defence stayed firm and helped maintain the side’s status at the top of the Group. 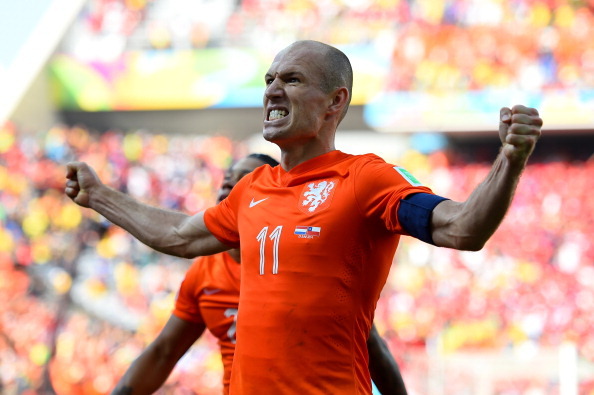 To break down a well-drilled Dutch defence, it was always going to take something special. In the absence of the rested Arturo Vidal, Chile were hoping that Alexis Sanchez would be their man. The 25-year-old Barcelona winger certainly showed why the nation’s hopes were thrust on his slender shoulders. For every time he got on the ball, it looked like something was going to happen. Playing on the right wing, the fact that he was fouled seven times by Dutch left back Daley Blind, shows just how much of a threat he was throughout the game. Whether it was putting in dangerous crosses, beating his man time and again or threatening the goal with a well worked shot, Sanchez should just why he is so highly regarded by the Chileans. But, unfortunately for Chile, all of that came to nothing, as he couldn’t help his side score a goal. Although he beat his man at an alarming rate, it was still not enough as Chile were unable to create too many clear cut chances to threaten Cillessen’s goal, something he will surely want to improve in the Round of 16. #4 Is this the tournament of the substitutes? Both of Holland’s goals against Chile were scored by substitutes who came in the second half. Substitutes coming on and scoring has become a recurring trend in this year’s World Cup which has already seen 19 goals scored by substitutes, four more than the tally in the entire 2010 tournament. Whether it is because of managers taking more risks or greater quality of players on the bench, the fact is that the substitutes are well and truly making an impact in this year’s tournament. Last night, it was Silvestre Varela’s injury-time goal that kept Portugal’s World Cup hopes in the balance, tonight both Memphis Depay, who scored his second goal in the tournament (both as a substitute) and Leroy Fer who scored on his World Cup debut, made the desired impact. Belgium have been the team that have benefitted the most so far as all three of their goals in the tournament so far has been scored by substitutes. If this trend continues, we are in for some cracking entertainment as the competition reaches its climax. Although the game didn’t quite live up to the hype and was cagey, there were certainly plenty of records that were broken during the game. Not only did Leroy Fer score on his World Cup debut, but also managed the fastest goal by a substitute in this tournament. Depay’s injury time goal ensured that the Dutch continued their record of scoring at least two goals in each of their last 13 games, of which they have won 12 and draw just once. Victory also continued their record of not losing a group stage encounter since 1994 and the Dutch made it nine points out of nine in the group stage for the second World Cup in a row. Their 2-0 win was also the first time they had beaten a South American side in South America at a World Cup and continued their impressive record of not losing to any South American side barring Argentina and Brazil in the World Cup.